Who else can say they love their accountant? Deni is professional, knowledgeable, supportive, and caring about all of her clients. If you are looking for a professional that loves what she does and loves the people she works for, you need to see Deni. Excellent service! Numerous small business owners in Duluth highly recommended Serenity and I am so glad they did! Absolutely excellent service! Deni is so knowledgeable and helpful! 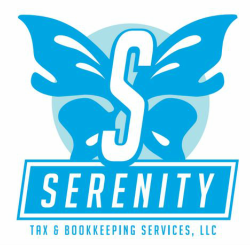 I would highly suggest using their bookkeeping/Quickbooks/Tax prep services!